Where Roots And Wings Entwine: Christmas Eve Box. One of the family Christmas traditions that I love doing with my family is a Christmas Eve box. As I love the magic of Christmas and Santa I believe a Christmas Eve Box adds a touch more magic and sparkle to Christmas, making the night before Christmas extra fun, magical and memorable. 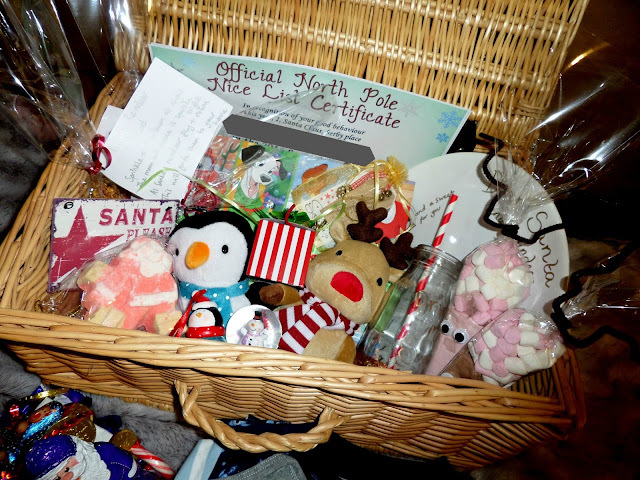 We – along with a little help from Santa who is sending the box to the boys as an extra special North Pole delivery - have put together a Christmas Eve Box for the boys to enjoy on the night before Christmas. 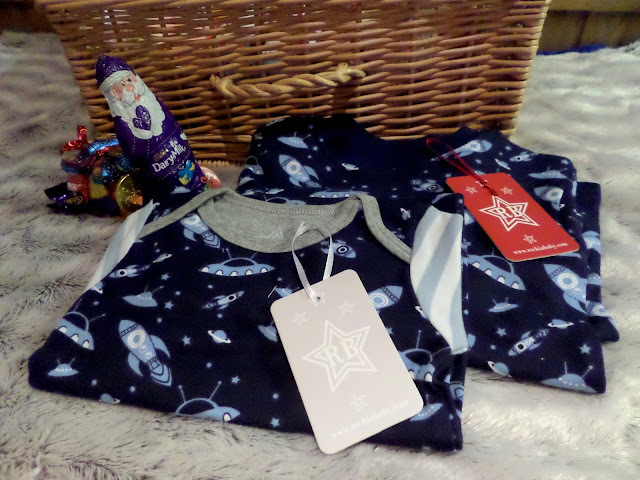 There’s something lovely about a fresh new pair of PJ’s so we will be placing in the box a new pair of pyjamas each for the boys. 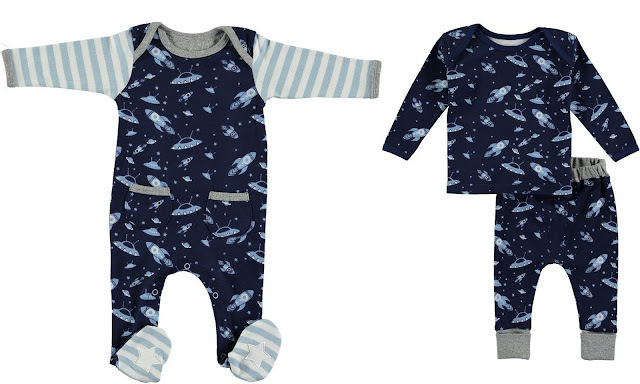 As we love Rockin’ Baby and their rockin’ kidswear we have decided to give the boys a matching pair of Space PJ’s – a cute Flyin’ Space Print All-In-One for Jelly Bean and a Loungin’ Space Print Lounge Set for Bug. 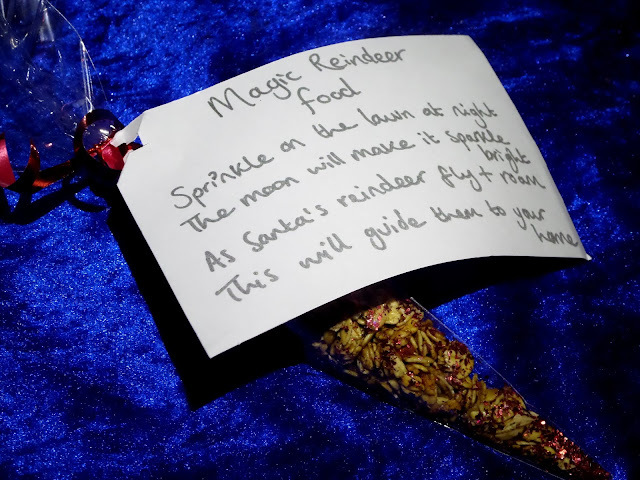 To add a little magic we will have Reindeer food for the boys to sprinkle. Made from oats and glitter the Reindeer food will be for the boys to sprinkle outdoors on Chrismas eve so that Santa and his reindeer can find their way to our home in the moonlight. As we sprinkle the magical food we will say a little poem. 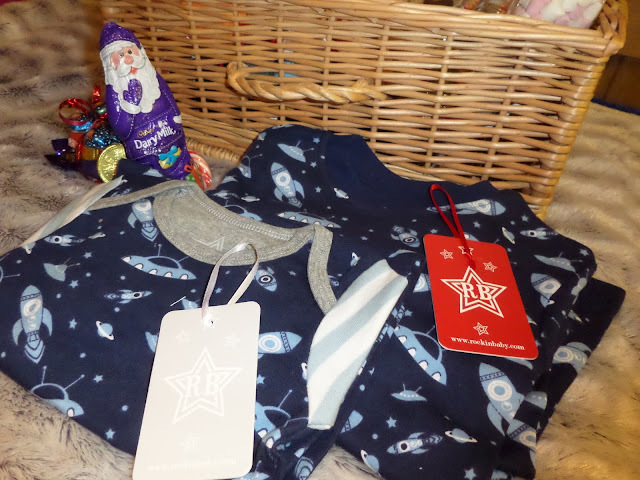 Not seen in the picture of our Christmas eve box but included will be a Christmas activity book and a craft activity for Bug to complete during the day for some Christmassy fun. 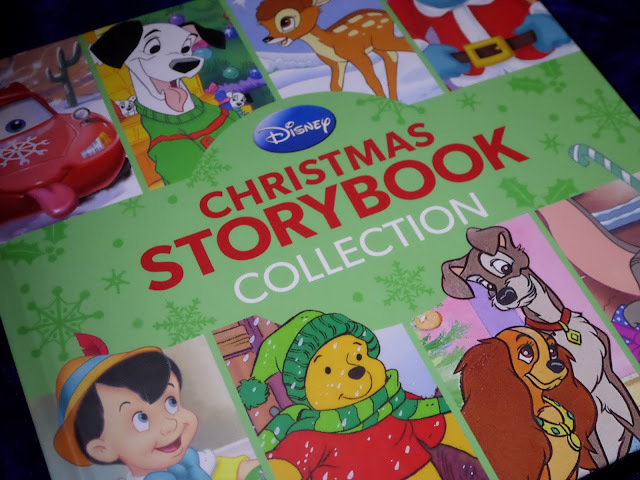 We will have a lovely Christmas themed book included in the box for Christmassy stories at bedtime. We will have a Christmas film in the box for us as a family to enjoy at the end of the evening before bed to cram in even more Christmas excitement. 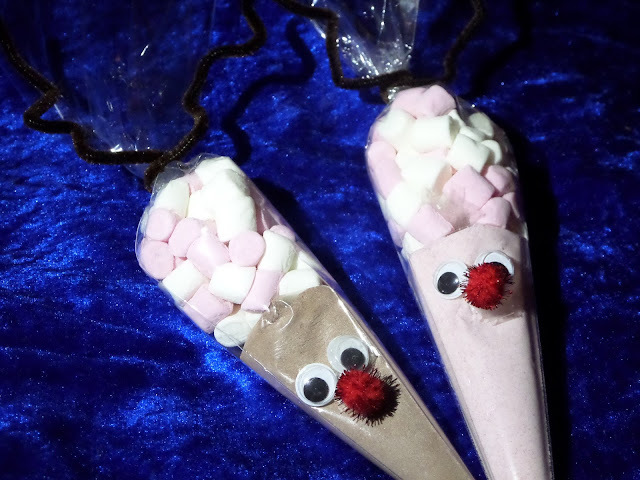 To enjoy as we cosy up together on Christmas eve to watch a Christmas film we have a hot chocolate treat of yummy hot chocolate with tasty marshmallows. As Bug does not like hot chocolate he will have a strawberry milkshake version. To make them fun they will be presented in cute reindeer packaging. 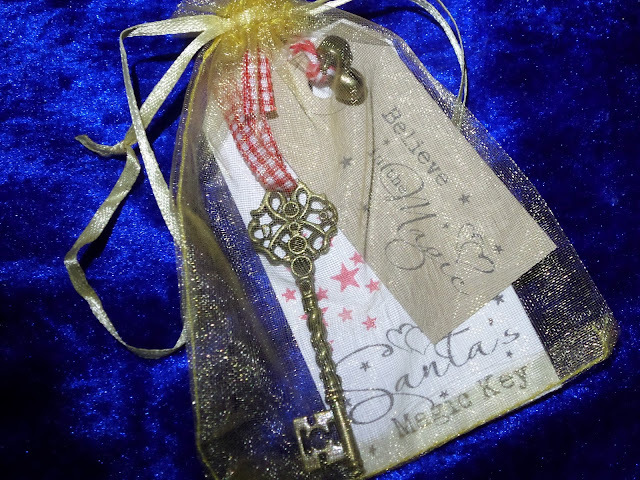 So Bug does not have to worry about how Santa will get in our home as we do not have a chimney the box will have a special magic key that he can leave out for Santa to magically be able to get inside to leave presents in Bug’s and Jelly Bean's stockings. As both boys love cuddly teddies in the box will be a new Christmasssy friend each that they can snuggle on Christmas eve. 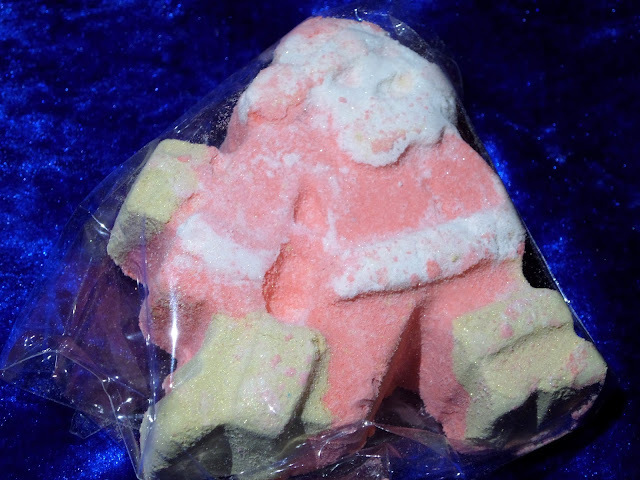 To make bath time a little festive we will be putting in a Christmassy bath bomb for Bug to use during bath time. The Lush Dashing Santa bath bomb is our chosen festive bath time treat this year. 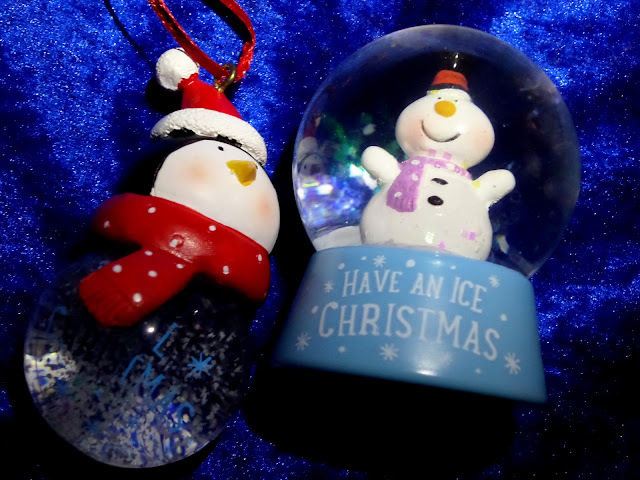 Each year we like to get a special Christmas decoration or ornament that can be hung on the tree or placed on the mantelpiece on Christmas eve and then used year after year as memories of our Christmas eve traditions. 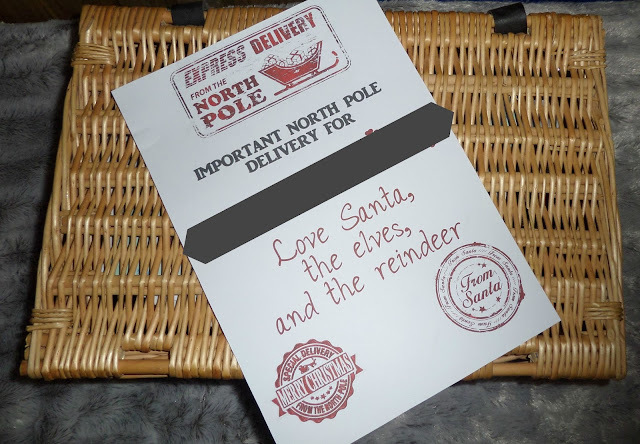 The reindeers will have sent some treats in the box. 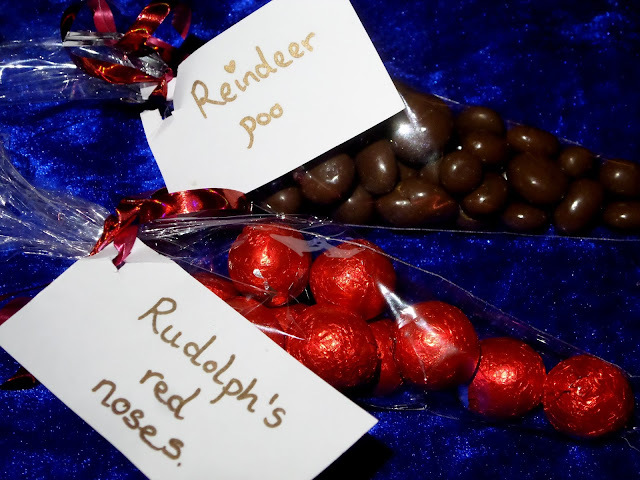 As a little joke there will be reindeer poop -chocolate covered raisins, and Rudolph red noses – chocolate balls wrapped in shiny red wrapper. In the Christmas eve box will be an extra special sweet treat from Santa – a chocotastic Santa sleigh with a chocolately Santa at the helm. 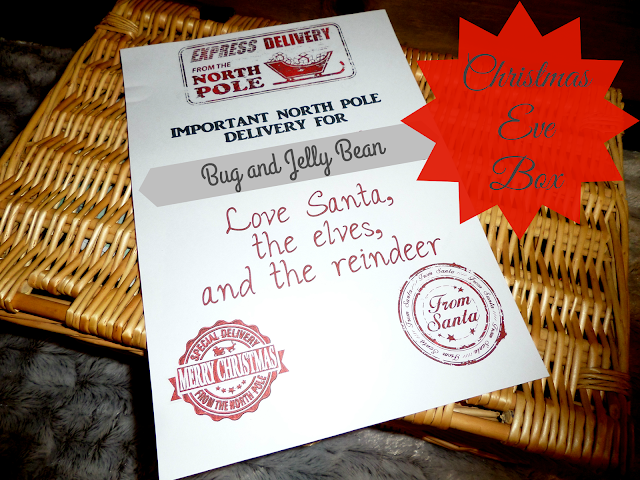 So that the boys can leave Santa and his reindeer a treat out on Christmas eve the box will have a personalised plate and glass bottle. So that Santa knows where to visit the box will have a Santa stop here sign that the boy can put out ready for Santa’s night of delivering presents across the globe. 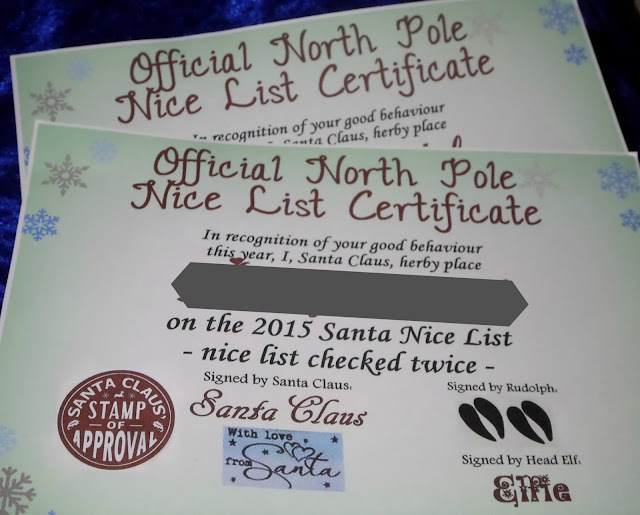 A nice list certificate all the way from the North Pole from Santa will also be in the box. 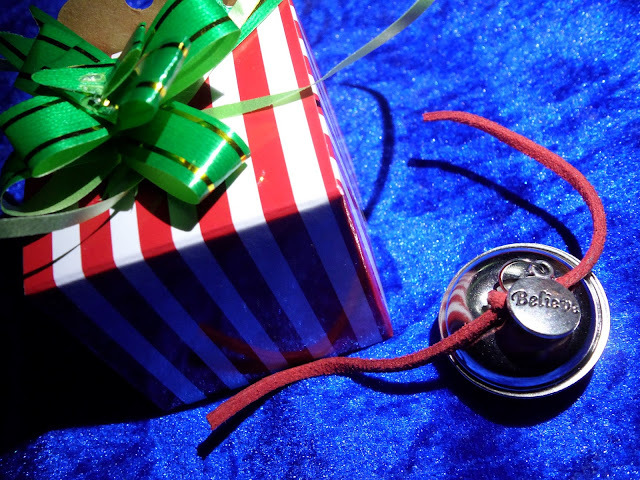 Throughout December Santa’s elves have been visiting the boys and leaving little jingle bells where their footprints have been, so in the Christmas eve box will be an extra special jingle bell as a lovely keepsake. 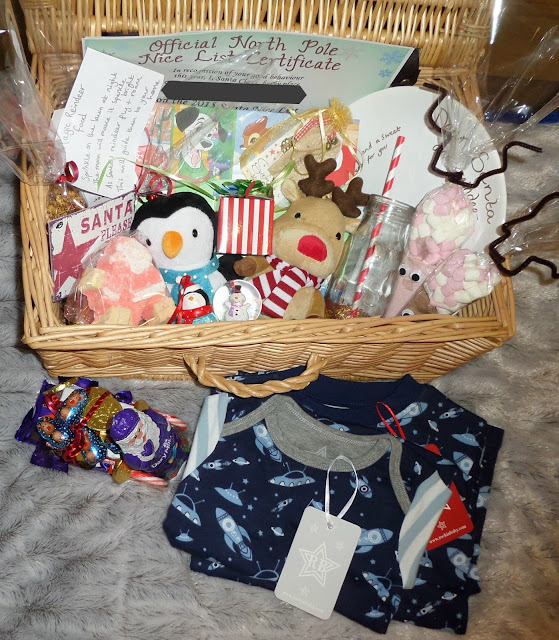 I am just hoping that our family festive traditions and our Christmas Eve box will not only bring the magic of Christmas alive for the children but also hopefully help settle them into bed to sleep. 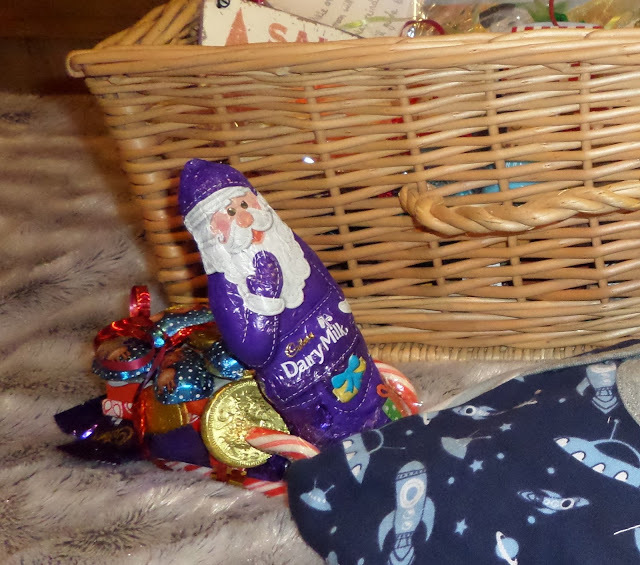 By incorporating the Christmas Eve box and using traditions suggested by Sleep People in their Family Festive Traditions post such as Santa’s Magic Key, and leaving a drink and treat out for Santa as part of the children’s bedtime routine we will hopefully get them asleep earlier rather than later with them knowing that Santa can’t visit until they are asleep! Do you do a Christmas Eve box? What is in your Christmas Eve box?